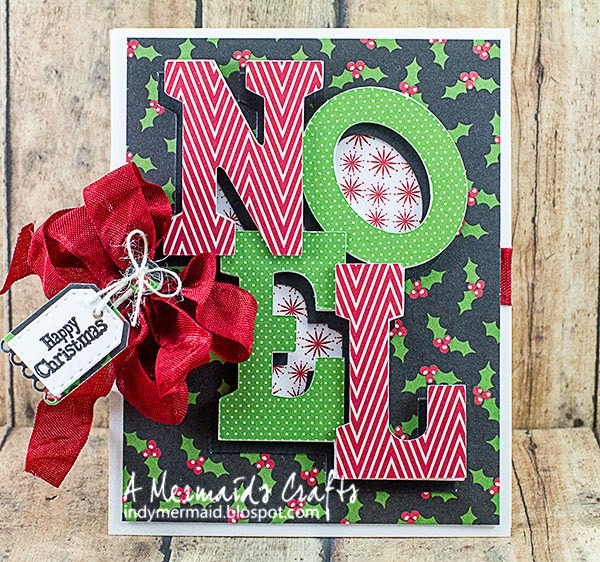 DT Post by Lisa - Gorgeous NOEL cards! I have been having so much fun playing with my early Christmas present (Explore). I absolutely love the Noel SVG file from SVG Cut Files.com by My Craft Spot and I couldn't wait to use it. 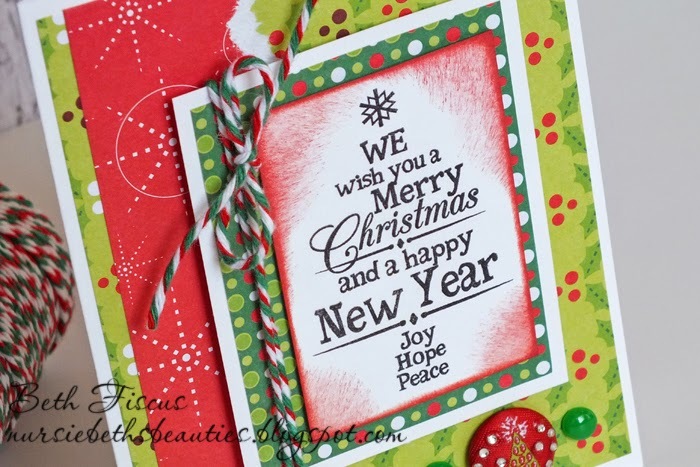 I created three Christmas cards using this file and several other MCS products. Scarlet Red Crinkle Ribbon was added to this card, along with a Tiny Tags die. The sentiment is from Tiny Tags Christmas and the button was tied with Natural Jute String. A sentiment from Christmas Chalkboard was stamped on the inside. 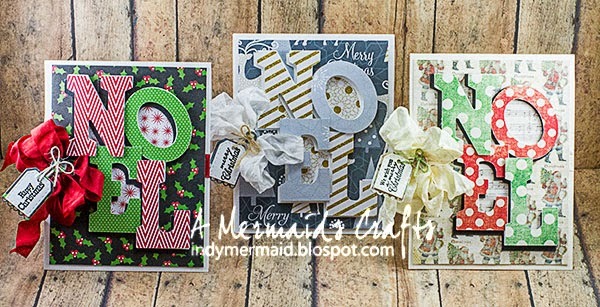 For more pictures and details on how I created these cards, please visit my blog, A Mermaid's Crafts. Thanks so much for stopping by!! 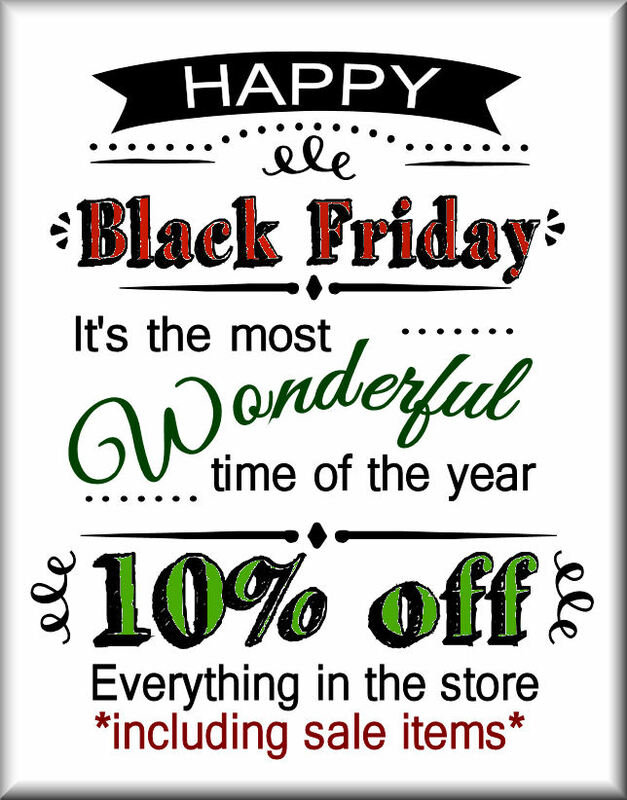 Our Sale is still going! Guest Designer - Tammy Hobbs! It's Tammy here from Creating Somewhere Under The Sun, and I am super excited to be guest designing today here on My Craft Spot!!! Ornate Labels - Christmas: I stamped the Winter Wonderland sentiment inside an oval die-cut. I added the snowflake flourish to the top and bottom to complete the focal image. Ornate Labels - Christmas and Ornate Label Die: I stamped the frame and sentiment then I used the Label die to cut it out. I took the entire collection of snowflakes that come in the Ornate Labels - Christmas set and added to my acrylic block. I then randomly stamped the snowflakes to the kraft panels which I adhered to the treat box before it was assembled. The file for the treat box was one I have had and have been meaning to create a project with. I really like how it turned out. I used my Cricut Doodlecharms Cartridge to cut the images for the other panels of the treat box. I finished the treat box by embellishing with ribbon, a button and some jingle bells. Jar Full of Flowers and Ornate Label Die: Switching gears from the holidays, I wanted to share a clean and simple Sympathy card using the Ornate Label Die. 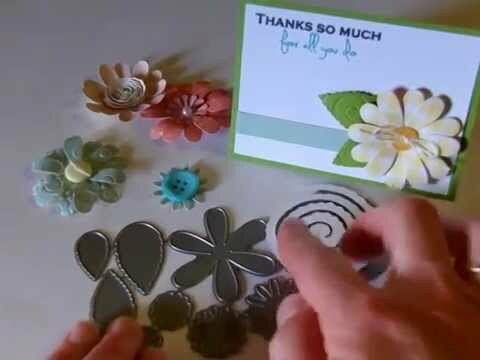 I layered the flowers both on the card base and the die-cut adding a pearl to the center for a finishing touch. I really hope you enjoyed what I have shared today! I would like to thank Kimberly for having me as her guest designer. I love her products and I am thrilled I got to spotlight a few of them today! I'm thankful for so many things. 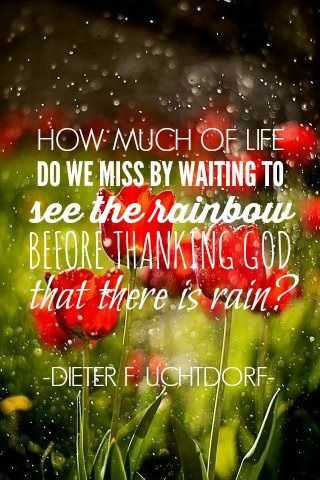 I'm thankful for my loving family, God's many blessings in my life, good health, this beautiful earth that we live on, and so much more! I love everything about Thanksgiving! I especially love the extra time I get to spend with my family. I love that my husband likes to cook with me. I'm so blessed to have been married to him for 24 years now! It is great to have my children home from school and my married daughter and her husband with us. We will miss my son this year as he is serving a mission in the great state of Oklahoma. I am also thankful for all of you! As has been tradition for the last few years, I thought I would do a giveaway to show my gratitude for all of you. To enter just leave a comment saying what you are thankful for. How easy is that?! Winners from Challenge #158 - 3D Christmas! Your 3D Christmas projects were all amazing! Thanks for joining the fun!! Congratulations #5 - Paula Bee! Paula used the new Tiny Tags Christmas stamp set on her cute penguin. Sherrie's fun Present box is from SVGcut files. She cut her tag from the Tiny Doilies metal die set and her stamped sentiment Merry & Bright stamp set. The sentiment on Tammy's cute Santa is from the Ornate Labels Christmas stamp set. Challenge #159 - Thanksgiviing and Fall! Beth's card is beautiful! I love the inking around her sentiment and her leaves are so pretty! I love Heather's stitching - really pretty! 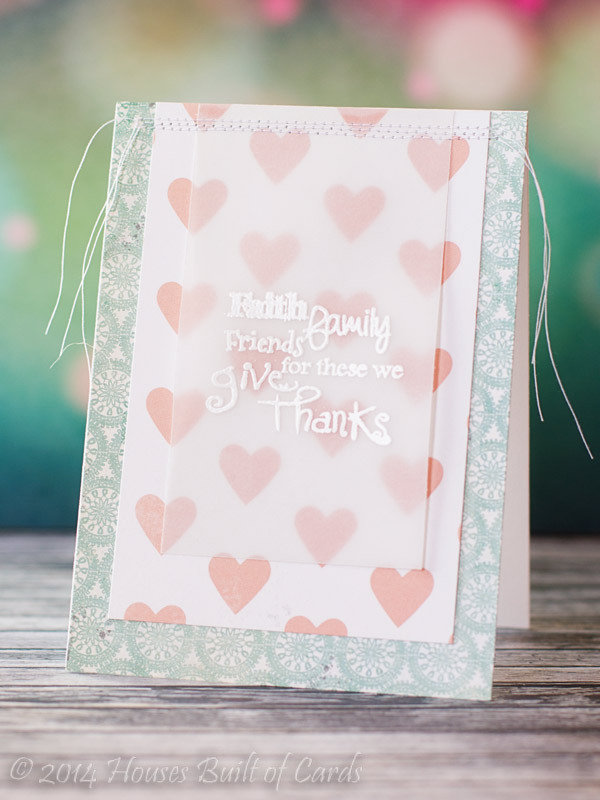 The patterned papers she chose look great together and I love the vellum on top! Lisa's boxes are absolutely beautiful! I love her sentiment labels and gorgeous bows! I love how Saundra stitched the top of her banner! Her card is so pretty! I love the burlap on top of the pretty blue pattern paper! DT Post by Lisa - 'Stamping' on Candles! Happy Saturday, everyone!! Lisa here to share a 3D Christmas project with you!! Have you entered this week's challenge yet? 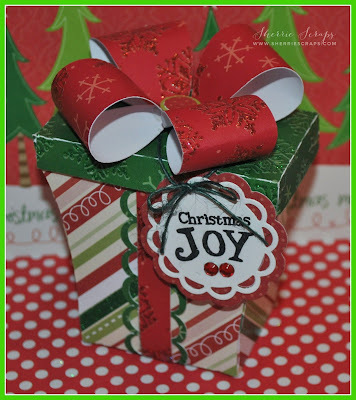 There is still time to enter your 3D Christmas project for a chance to win a $10 Gift Certificate to shop at the My Craft Spot Shop!! For the candle on the left, I wrapped red wire ribbon around the base and used a sentiment from O Holy Night. 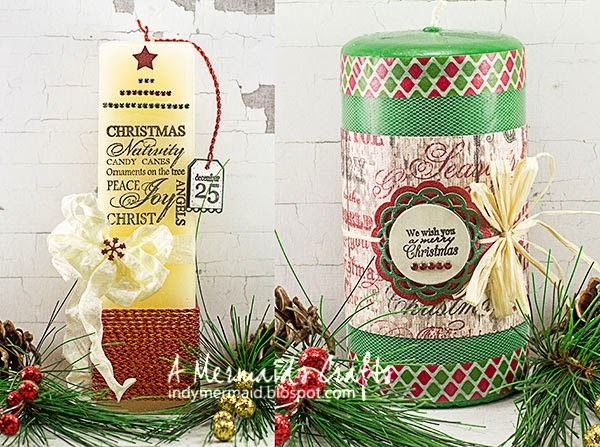 It was stamped on white tissue paper and then I stretched the paper over the candle using wax paper to hold it in place, and heated it with a heat gun until it adhered to the candle and the tissue paper disappeared. 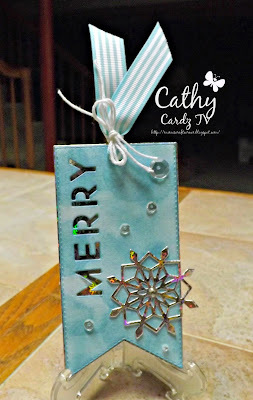 The hanging tag is a Tiny Tag die, and it was used with a sentiment from Tiny Tags Christmas. The star and snowflake are from Small Alphabet and they were covered with Sugar Coating. Vintage Vanilla Crinkle Ribbon was tied around the candle to finish it off. 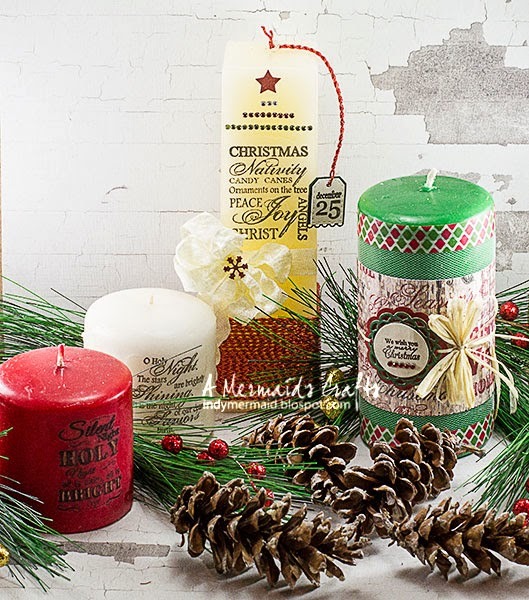 For the candle on the right, a sentiment from Tiny Tags Christmas was stamped on a Tiny Doily die and tied off with raffia ribbon. For both of these candles, the sentiments...two of my very favorites...were again stamped on white tissue paper and heated until the paper disappeared. The sentiment on the left is from the Christmas Chalkboard set and the one on the right from O Holy Night. 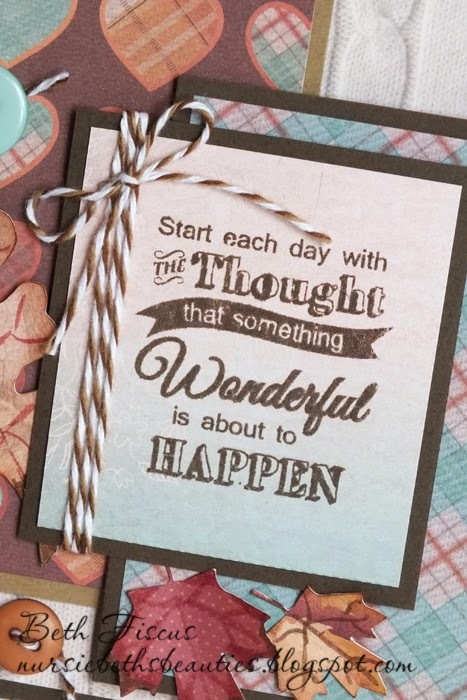 Hi Everyone....I'm Sonya from Sonya's Paper Trail and I am honored to be a Guest Designer today for My Craft Spot. I'm a huge fan of all of the My Craft Spot products, but my particular favorites are the beautiful fibers and the versatile stamps, of course! And since Thanksgiving is quickly approaching I decided that my projects would combine that holiday theme and the MCS products that I love. 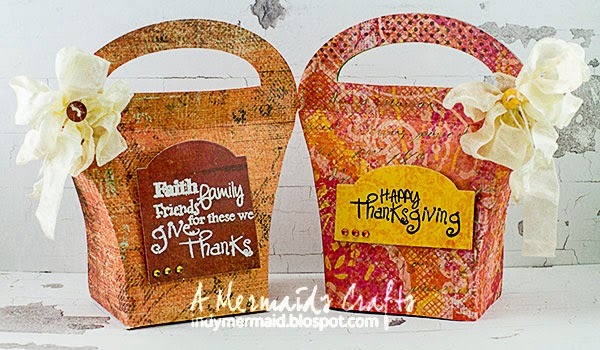 My first project is a fun turkey card, which happens to use a ton of great paper scraps. The turkey is a cut file I cut out using my Cameo. 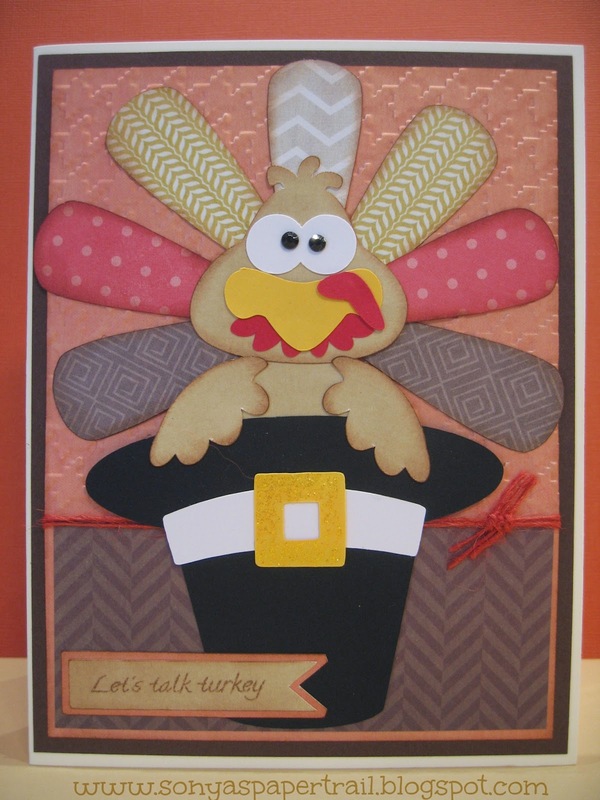 I love the look on that little gobbler's face and thought that the phrase "Let's Talk Turkey" was perfect! My next project combines a small 3 by 3 note card with two treat containers. I stamped a few leaves in a variety of colors then added a beautiful sentiment from the Happy Thanksgiving stamp set for a very traditional Thanksgiving greeting. The treat boxes were cut using my Cameo, too. Many thanks to Kimberly for this wonderful opportunity to showcase her awesome line of products. And, I hope you all have a safe and wonderful Thanksgiving holiday! DT Post by Gwen - Beautiful Fall card! Gwen here from This and That by Gwen with a quick and easy fall card for you. Isn't that turkey pretty...well if a turkey can be pretty! This is a cut apart from DP again makes a super quick and easy card. The sentiment is from the Fall Leaves stamp set from My Craft Spot and punched out. I just inked up the thankful part of the stamp. Winners from Challenge #157 - Sequins!! We loved all of your awesome projects made with sequins! Thanks for joining the fun!! Congratulations #6 - Tenia Nelson! 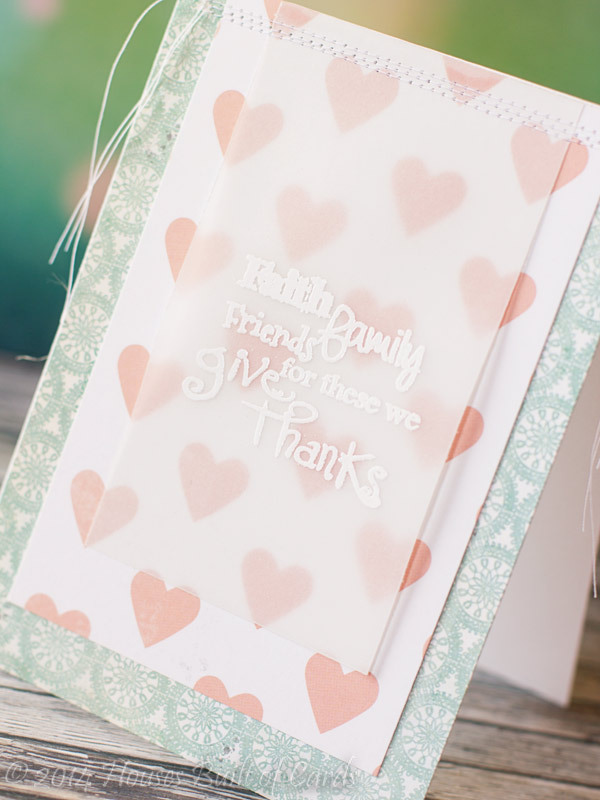 Guest Designer Post by Beth! Hello again, Beth from Beth's Beauties back to be a guest designer for you today! 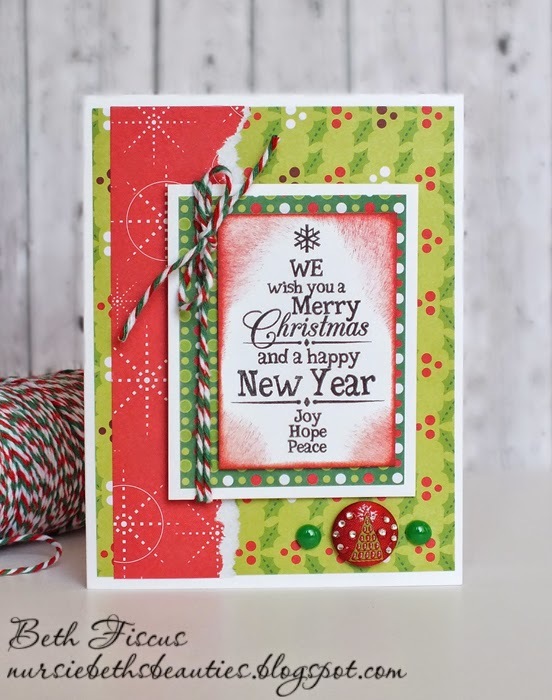 This card is all about Christmas! I love the bright traditional Christmas colors on the designer paper. 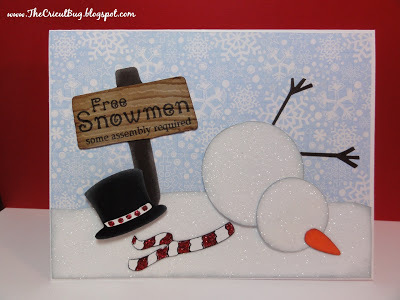 The sentiment stamp is from My Craft Spot's new Merry and Bright stamp set. I love how it looks like a Christmas tree! 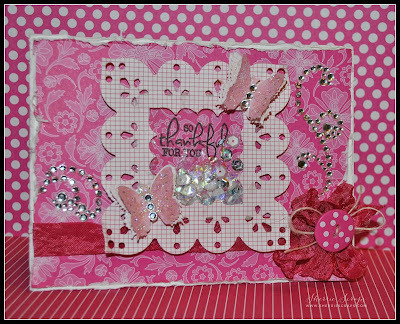 Guest Designer post by Deb! 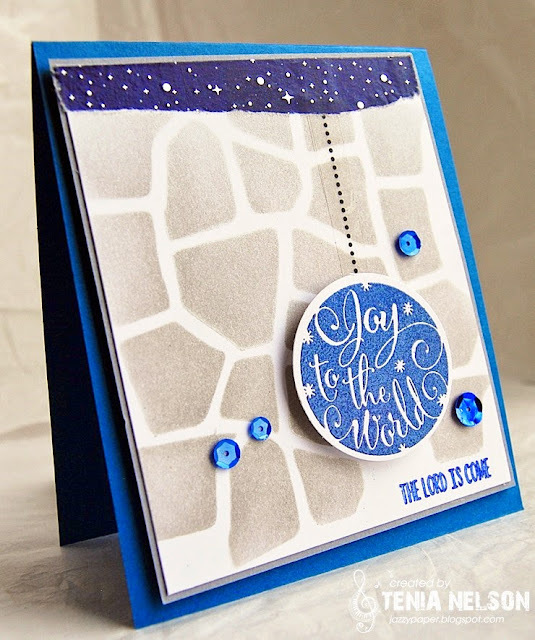 DT Post by Karen - Stunning Christmas Scene Card! Winners from Challenge #156 - Metal! 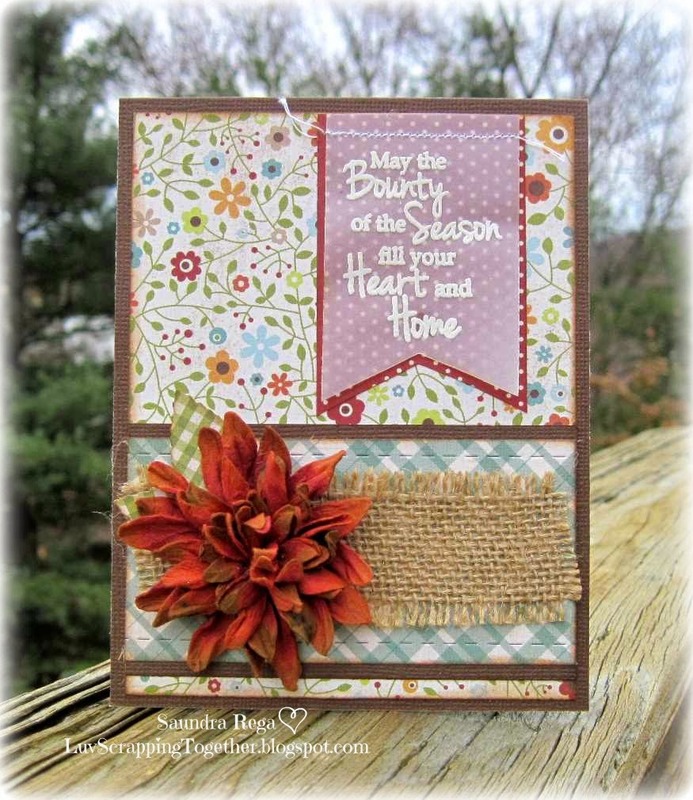 DT Post by Saundra - cute card set! DT Post by Heather - Welcome baby! 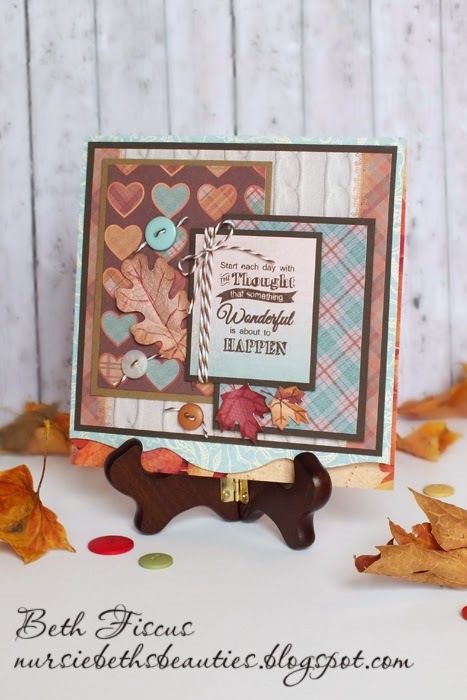 DT Post by Gwen - Gorgeous Fall Card!